Home / Uncategorized / Are you using the right Fire Coating for Soldering? Are you using the right Fire Coating for Soldering? 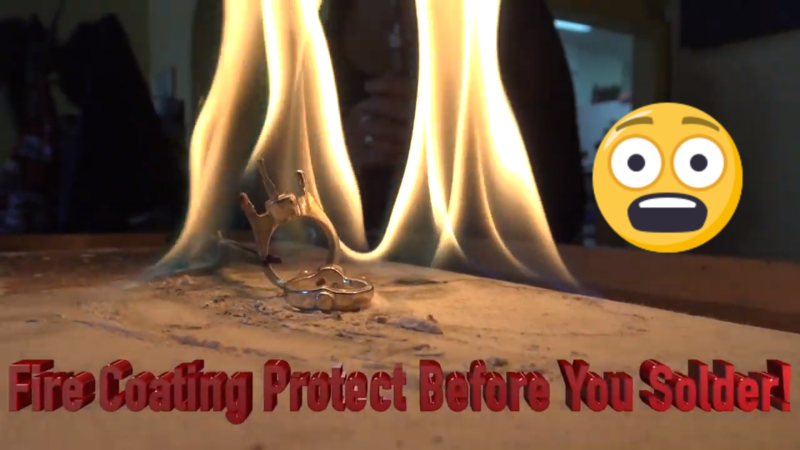 Prevent fire scale from forming on your jewelry after you solder. One of the best ways to prevent fire scale is to mix a fire coating that you will dip your jewelry into before soldering. It is made up of boric acid and isopropyl alcohol. In the past people would use denatured alcohol. Please be advised denatured alcohol can be dangerous. When it is burned, breathing in the toxic fumes is very hard for your body to process. Over time the toxins can build up in your system and cause serious health issues. This is why I use 91 proof isopropyl alcohol. It burns clean and is much less dangerous. That’s my little health tip. Here are my recipes for the fire coating mix. How to mix fire coating for annealing and soldering. This recipe is for fine silver, sterling solver, gold, platinum and even copper. You will need a few things. Here is the receipt for thick fire coating. This is good for larger pieces and annealing metal. Make sure you have a lid for the jar. Gently shake the jar to mix the boric acid and the isopropyl alcohol. Dip your metal in the solution and put the lid back on the jar. Place your dipped metal on a soldering pad and light on fire. This will cause the boric acid to become a glassy protector over the whole piece of metal. This will protect the metal from getting fire scale. This discoloration happens when you heat metal without fire coating. Here is the recipe for thin fire coating. This is good for general soldering. Place your dipped metal on a soldering pad and light it on fire. This will cause the boric acid to become a glassy protector over the whole piece of metal. Previous post: How to repair gold prong tips on a diamond ring. Next post: Silver Soldering Basics – How much silver or gold solder should you use for jewelry making?